I wonder if my puns can get any lamer, we'll find out later, I suppose. Director of S. H. I. E. L. D., Nick Fury is today's Ultimate. 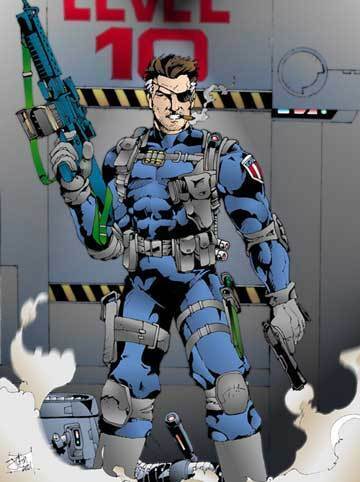 Not much is known about Nick Fury before World War II other than he was born some time in the early 1900's. Fury fought in World War II for the United States and served with Private Fisk and James Howlett (Kingpin's grandfather and Wolverine, respectively). While looting a house. all three are arrested with Fisk only receiving a minor wound, but Fury and Howlett are both imprisoned and shipped to unknown locations. At Fury's secret location, he was chosen to be the next test subject of Project Rebirth (which is the Super Soldier program that produced the likes of Captain America). After being injected with the serum, he used his new found super strength to free the other prisoners and then escape from the facility. Fury went to college in India and then enlisted in the US Military. He was involved in many different conflicts such as the Kosovo Wars and the Gulf War. During the Gulf War, he was charged with transporting Wolverine. An Iraqi ambush killed Fury's team, freed Wolverine and injured Fury pretty badly. This ambush is what caused Fury to lose his left eye. Even though Wolverine actually saved Fury, Wolverine was re-imprisoned. In spite of this, the two became good friends. This friendship would benefit the X-Men many years later when they were all captured during the Weapon X program. Wolverine, being the only free one contacted Fury, who helped them escape. Following this ordeal, General Ross was presumed to be dead and Nick Fury rose to the rank of Director of S. H. I. E. L. D. One of his first acts as director is to reinstate the Super Soldier program and form a group of super-humans as planetary defenders that was to be dubbed the Ultimates. 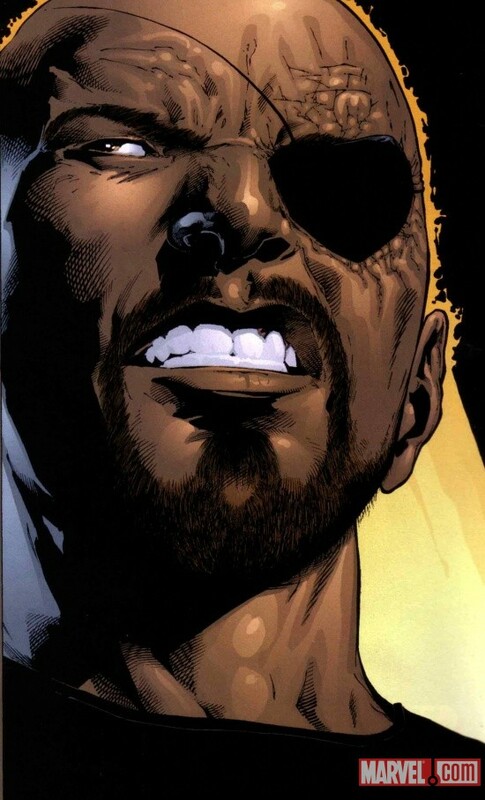 The main stream Nick Fury is a white guy. Fury is one of three children who grew up in Hell's Kitchen. After World War II, Fury is injured by a landmine. He is healed and used as a test subject for the Infinity Formula. After spending sometime with the CIA, Nick Fury is recruited by Tony Stark as the second in command of S. H. I. E. L. D.
Because of the serum he was injected with, he has super human strength and has reduced aging. He also heals incredibly quickly. Fury is an incredible combatant and leader. While he does use some technologies far ahead of the rest of the world, Fury tends to use normal firearms. Fun trivia about Nick Fury, the Ultimates version is very obviously based off of Samuel L. Jackson (with his permission). Jackson gave his permission after reading a scene between the Ultimates about who would play them in a movie and Fury said, "Why, Mister Samuel L. Jackson, of course. That's not even open to debate, Doctor Pym." Next time, Bruce Banner and his big, mean, green alter ego will be looked at. He better have a LMD in the movie!